I don’t even know where to start. These are amazing. How could they not be? They are sugar, butter, rosemary, chocolate chips… Sorry, I don’t want to get ahead of myself, the recipe is below. I adapted this recipe from Melissa d’Arabian to fit our health choices and what I had on hand. I used fresh rosemary and turbinado instead of sugar. 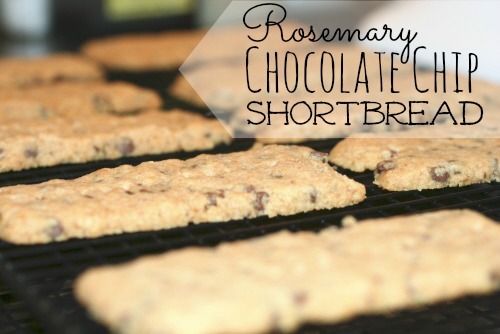 But, the rosemary, it just adds the most unique twist to this very simple and tasty cookie. Combine it with chocolate chips, wow. 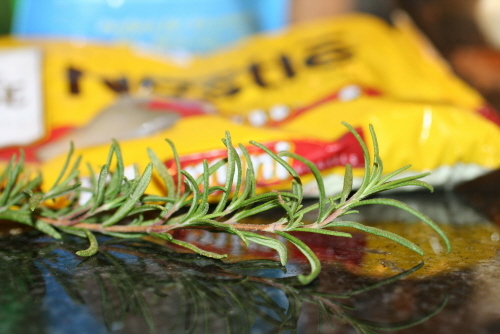 It is light, crunchy, slightly sweet, and has just a hint of the rosemary aroma in each bite. 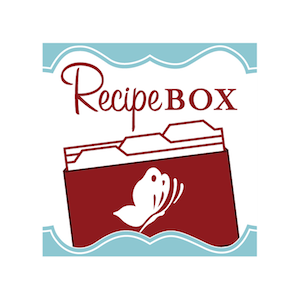 This recipe doesn’t make a lot, but it is so flavorful and satisfying, you don’t need much. I think this is best with a cup of hot tea, late in the afternoon when the kids are down for a nap. Oh, and with a good book, sitting on the couch. My perfect afternoon. Cook’s Note: If the dough begins to soften or feel greasy, chill the dough for 15 minutes. 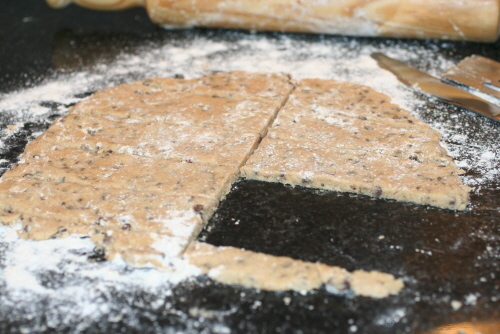 Roll the dough out into a rectangle of 1/2-inch thickness and cut into rectangles about 1/2-inch by 2-inch. Place the dough on a cold ungreased baking sheet. 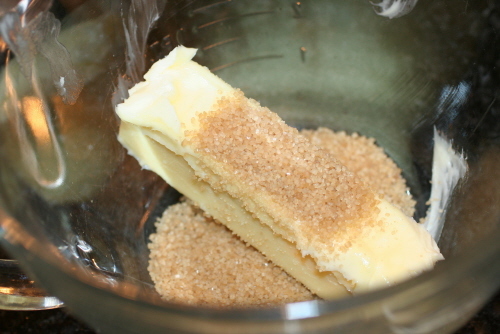 Bake the shortbread for 25 minutes, or until the dough starts to turn a golden color. 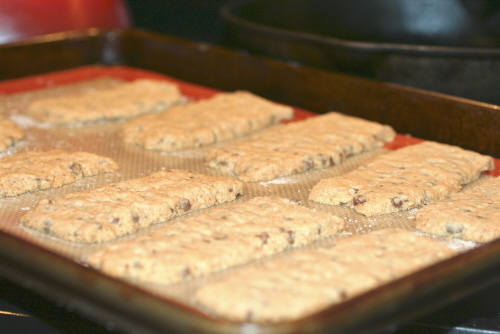 Remove the shortbread from the baking sheet and let cool completely on a rack. 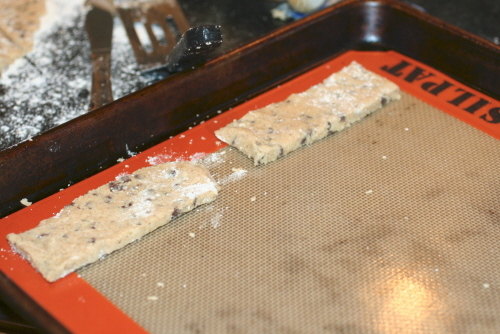 Roll the dough out into a rectangle of ½-inch thickness and cut into rectangles about ½-inch by 2-inch. Thanks for posting your adaptation. I had found the original recipe, and was wondering if I’d be able to use fresh rosemary from this week’s CSA. Also happened to have turbinado and whole wheat, so your tweaks were perfect. And this is indeed a special cookie — really impressed with these. Thanks!